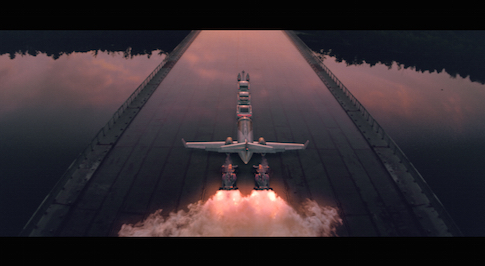 Honda has launched a new brand campaign that celebrates one of man's most impressive engineering endeavours  space flight. Entitled 'Ignition', the 90-second long campaign was launched last Friday on Channel 4's Eight out of Ten Cats Does Countdown. The sci-fi video, which is available on Honda's YouTube channel, reveals Honda's new 2015 fleet on a runway. The cars and motorbikes are filmed from above mimicking the shape of a space shuttle. Elements of Honda's vast history are scattered throughout the video, with the driver of the new NSX captured holding a picture of the original 1990 NSX in his hand. McLaren-Honda driver, Jenson Button makes a cameo in the video and the voice of the late, great Ayrton Senna also features. Honda UK Managing Director Philip Crossman commented: "In March we had the oldest product line up in the industry but come the start of September we will have the newest. This Ignition campaign is the perfect representation of where the brand currently sits and what we are about to experience. We have a rich heritage in creating unique and memorable advertising campaigns which engage and excite, and Ignition is the perfect platform to build on this."